The colors scream Halloween to me, but I wanted to do something different. I got out my Fall Fest stamp set as well as For All Things. My base is whisper white with a layer of basic black that measures 5 1/4 X 4, the next layer is the whisper white dsp in the paper stack. This layer measures 4 3/4 x 3 1/2. The next layer of basic black is 2 3/4 x 2 3/4. My white squares are 1". I stamped the different leaves in Old Olive, Pumpkin Pie and Rich Razzleberry. 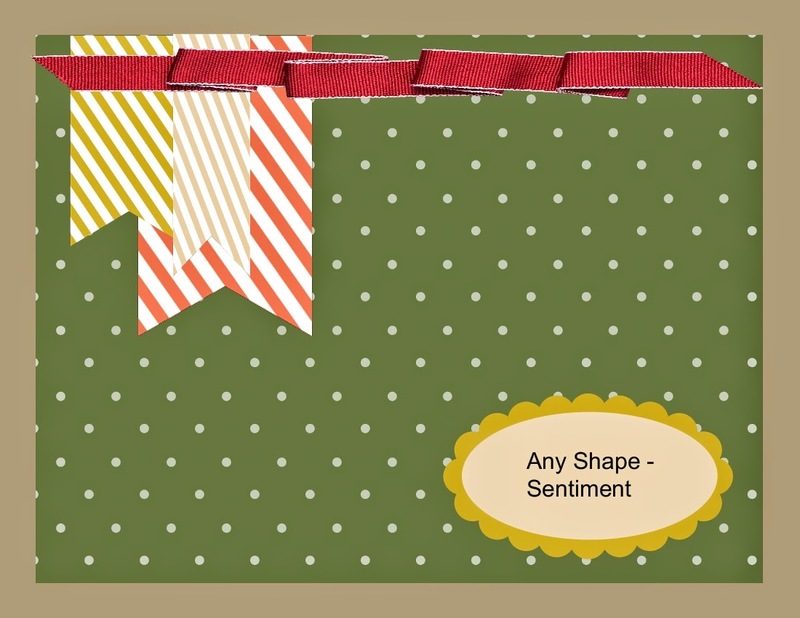 the banner for the greeting was stamped in Old Olive using the For All Things stamp set and then the greeting from the same set was stamped in Rich Razzleberry. A little sponging on the squares finishes off my card. Thanks for stopping by. 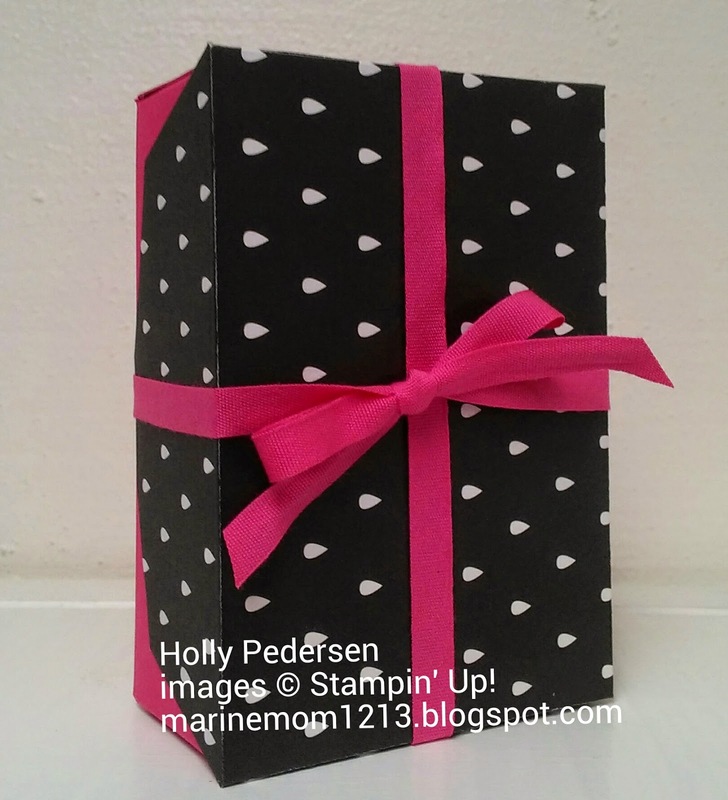 The lid to this box was made with the Gift Card Envelope & Trims Thinlit. I cut it with the Back to Black dsp and paired it with Melon Mambo. I love the sharp contrast these colors bring. The box bottom is a piece of card stock that measures 6 7/8" x 5 9/16", scored at 1 1/2" on all 4 sides. I cut the corners all at a diagonal to remove half of the squares. I then cut one of the score lines on all 4 sides as well. I used Fast Fuse to glue the box together. 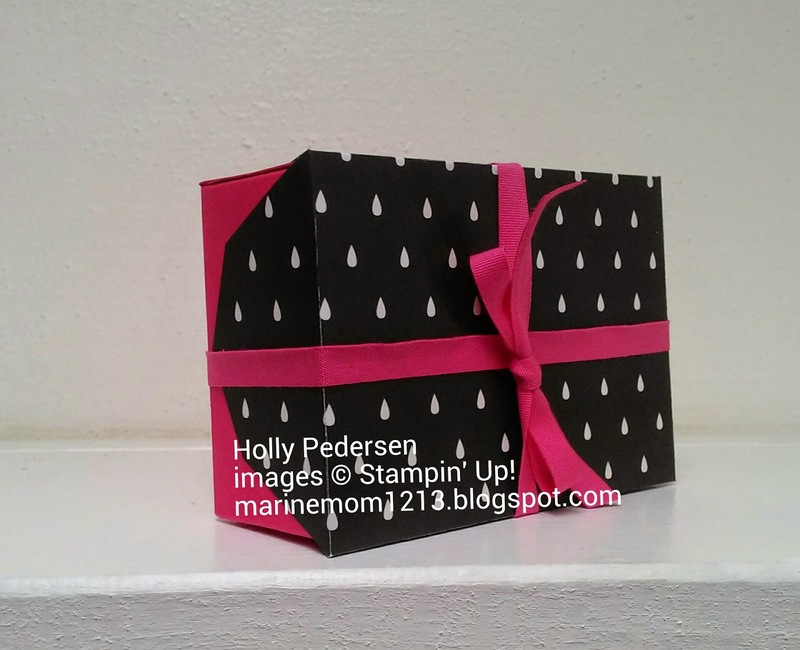 The gift card envelope goes perfectly over the box which was tied shut with some melon mambo 1/4" cotton ribbon. Well, I finally got out my curvy keepsake box thinlit and played today. My Frankenstein is cut from Old Olive and then I used basic black, whisper white. The punches are 3/4" circle, 1/2" circle, 3/4x15/16" oval and then I used the word bubbles framelit for his bolts. The scarecrow is cut from crumb cake and then I used gorgeous grunge and stamped some lines on him with sahara sand ink. His hair is the burlap ribbon, eyes are boho blossoms punch with candy dots in the middle. I hand cut his nose and then tied a bow with some of the tangerine tango two tone trim. I punched the bird from the bird builder punch. The bat is cut from basic black. I used the #6 oval framlit for his wings, and then a 3/4" circle punch for the wing bottom. His eyes are 1" circle and 1/2" circle punches. The teeth are hand cut. Olaf is cut from whisper white. His mouth is a basic black 1 3/4" circle punch, cut in half. His teeth are the small ticket from the ticket builder punch. 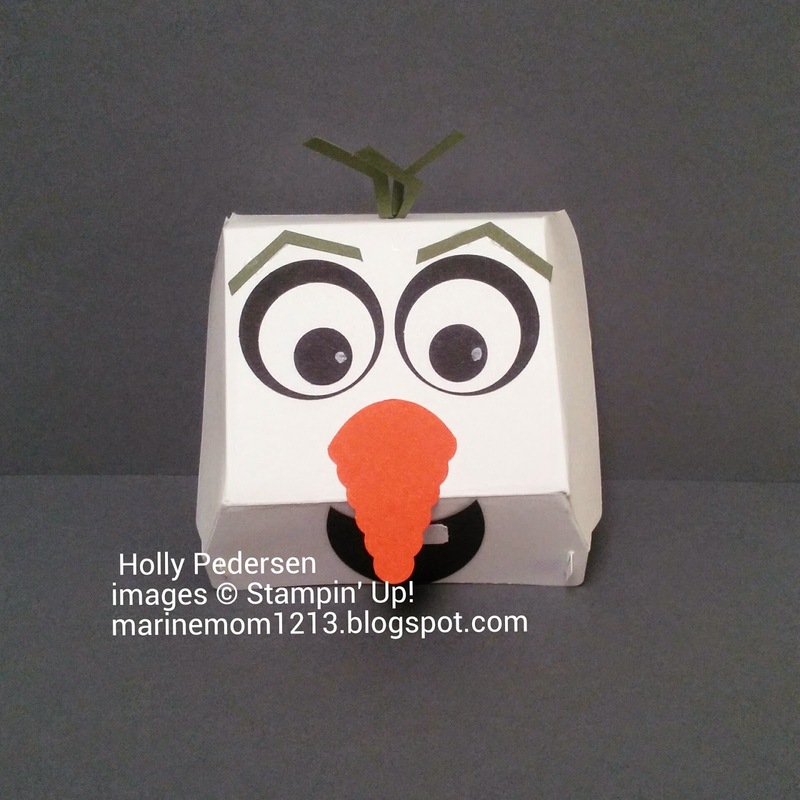 The nose is from the petite pennant builder punch and punched from pumpkin pie. His eyes are 1/2" circle, 3/8" circle and the 1/4" hand held punch. 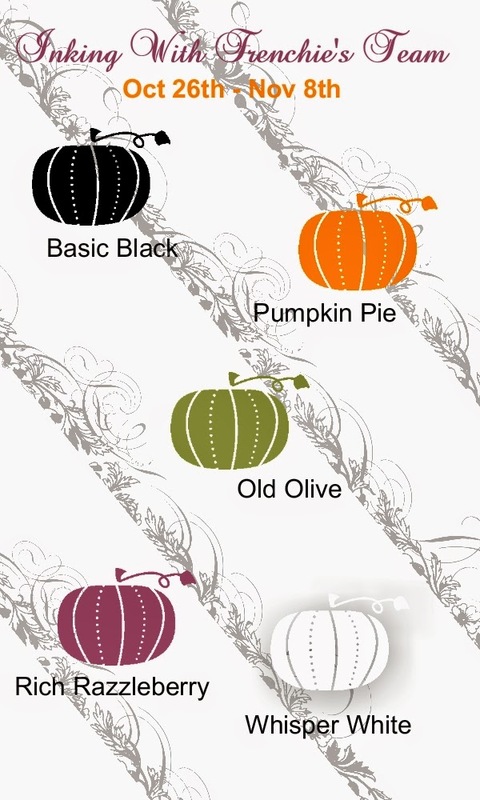 The pumpkin is Tangelo Twist. I used Work of Art to stamp the lines in tangelo twist. The leaves are stamped on mossy meadows in the same ink with the Flower Patch bundle. The little bat is basic black and his eyes are the 1" circle and 1/2" circle punches. I used the square part of the curvy keepsake box thinlit to cut his legs. Thanks for stopping by, enjoy your day. Hello, welcome back. 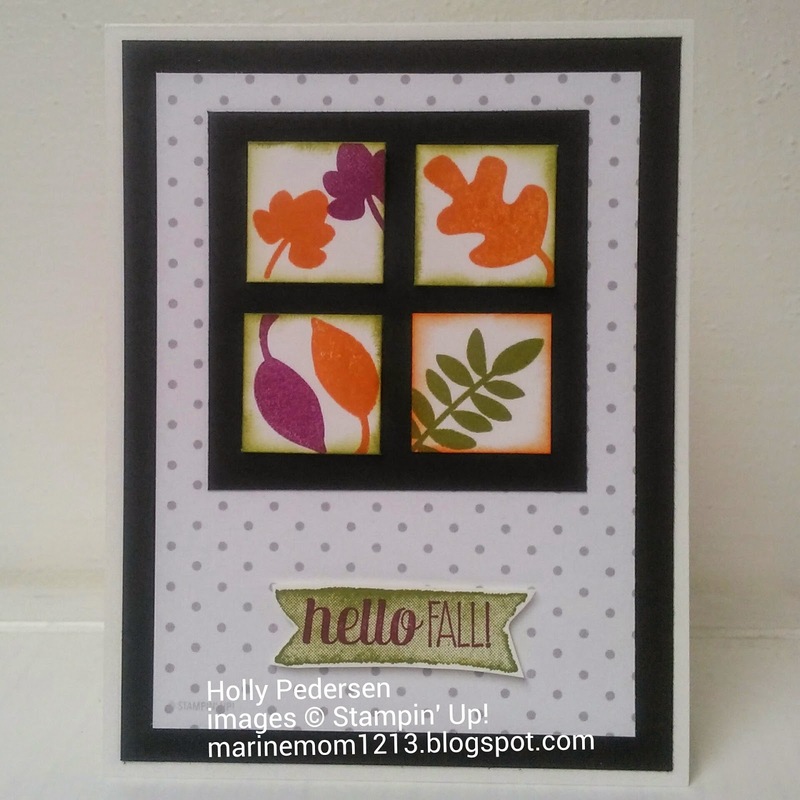 My share today is the card I made for our team color challenge. 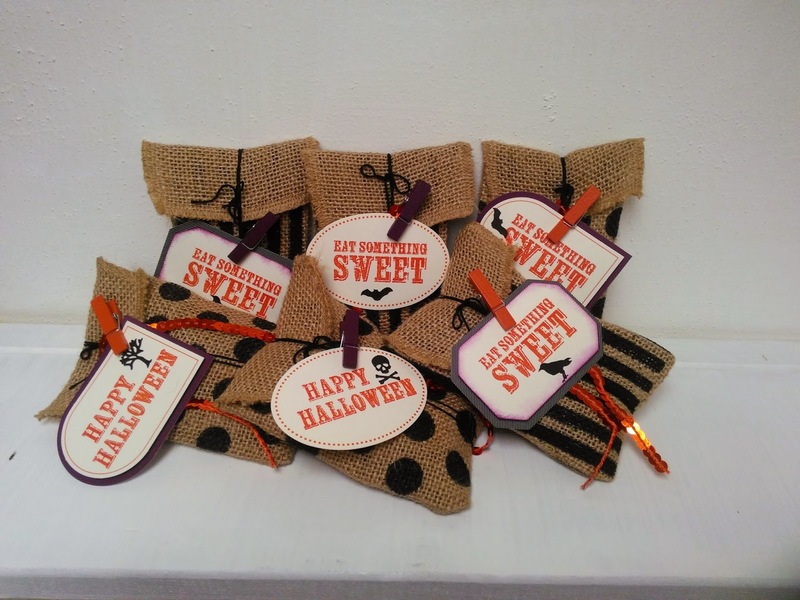 The challenge was to use Soft Suede, Cajun Craze, Pumpkin Pie, Daffodil Delight and Old Olive. I used the sketch over at Clean & Simple to get me started. My base is daffodil delight and then I layered a piece of pumpkin pie on the base. Prior to gluing them together, I used the Cajun craze washi tape from Color Me Autumn and the Old Olive from Santa & Co.. I used my paper piercer to do two rows of pierced dots. I used the whisper white 1/4" cotton ribbon and sponged it with soft suede. The stamp sets I used are Good Greetings and Mingle All The Way. Thanks for stopping by, I appreciate it. My share today is using the single stamp set Christmas Bauble. I love the simplicity of this stamp set and envisioned it on vellum, so that's what I did. I stamped with encore silver ink and embossed with silver embossing powder. I then used my blendabilities markers to color the holly. I colored on the back of the vellum to give it a stained glass look. I fussy cut the ornament out and mounted it on black card stock. Then it was layered on Cherry Cobbler and then a black piece from the neutrals dsp stack. The card base is cherry cobbler. The little greeting is from the new Hostess stamp set Good Greetings. My grandson loves Olaf in Disney's Frozen. 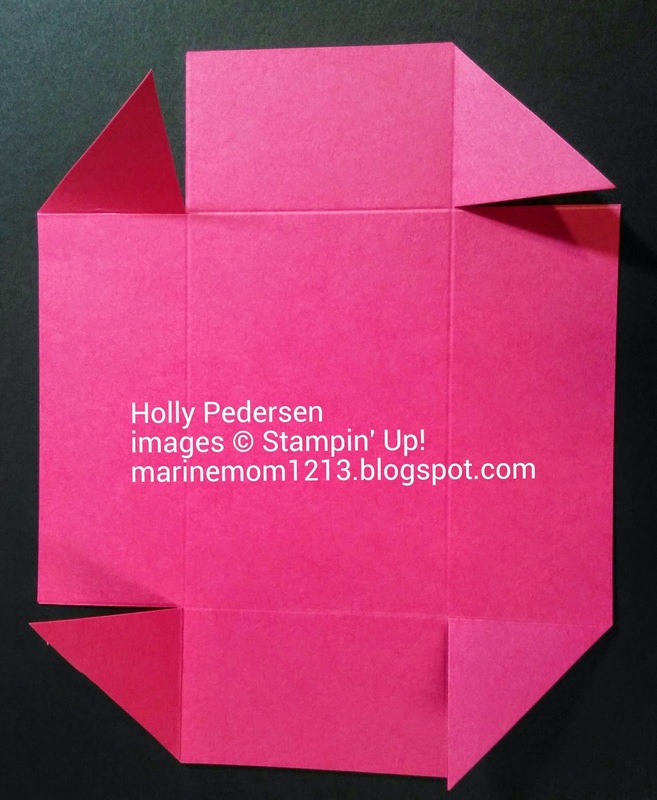 I saw this little guy on Laura Haffke's blog and just had to make him. It uses the hamburger box die, 1 1/4" circle punch, 1" circle punch, 1/2" circle punch, extra large oval punch, ticket duo builder, the hexagon punch and the petite pennants builder punch. My colors of card stock are whisper white, basic black, tangerine tango and always artichoke. The hamburger box die was actually easy to put together because I snipped three of the diagonal score lines on each side to make the box easier to put together.